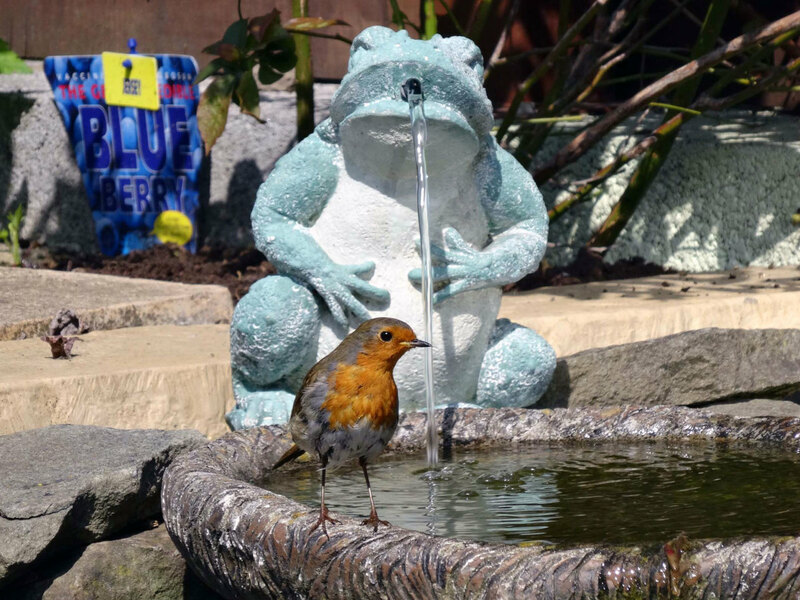 Creating a wildlife friendly garden can provide a beautiful and peaceful haven for many types of animals and birds, as well as for you and your family. By following some simple steps your garden can become a beautiful space where a wide variety of creatures will be able to make their homes. 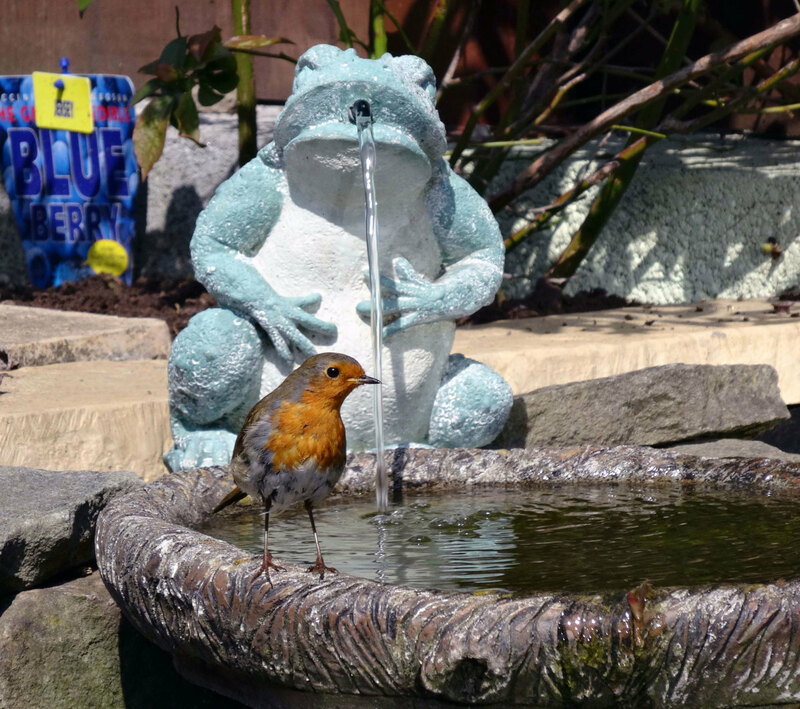 There are many ways to encourage wildlife to make their homes in your garden. Some, such as growing certain plants or not tidying the garden too much in autumn are very simple to carry out and can be done in even the smallest gardens. Other ideas such a building a pond can take more space, time, planning and work. 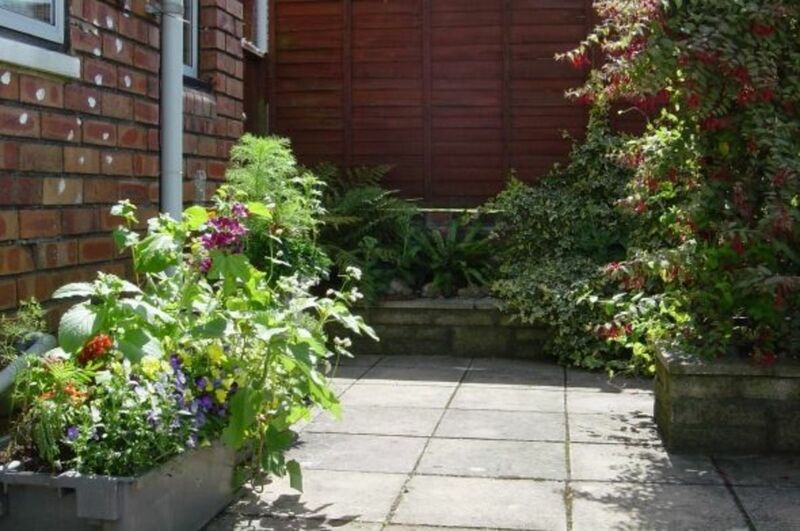 Even if you have a small garden or a few pots on a patio it is still possible to attract wildlife into your space. For example: bird feeders can be placed in almost any environment that is safe from predators and bee and butterfly friendly flowers can be planted and grown in the ground or in pots and window boxes. Even small changes can make a big difference to the animals and birds that live nearby. If you have the space to safety create a pond you may be rewarded with it attracting a wide range of animals into your garden. These may include frogs, toads, water beetles, aquatic snails, dragonflies and pond skaters. Many sizes of rigid ready-made ponds can be bought and placed into the grown before filling and planting around. Another alternative is to buy rubber pond lining to line your hole. Working out the size of liner needed can be a little tricky as you will need to account for the depth of the pond and also allow for an overlap of 50-60cm on the edges. This overlap is then held in place with turf, rocks or paving to keep the liner in place. Many aquatics shops will be able to help you accurately calculate what size to buy and there are also calculators online that can be used. Once in place and filled, you can add plants to your pond. Good plants for shallow water and ledges include: yellow flag iris, water forget-me-not, water plantain and branched bur-reed. For deeper water, plants such as hornwort, water crowfoot, curled pondweed and willow moss will thrive. 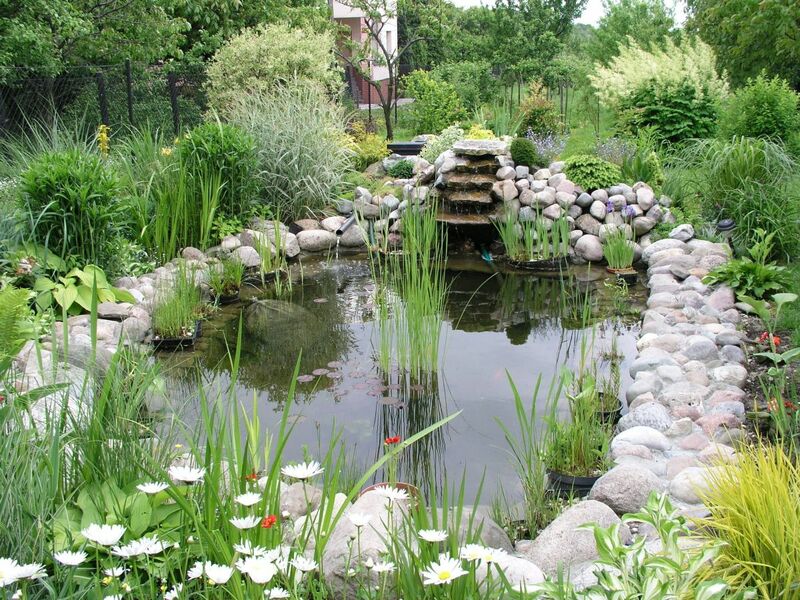 Ponds can be edged with grass (using turf), paving or rocks. For a more natural look you would need to bury the lining to hold it secure or perhaps use a rigid pond and bury the overhanging edge. Good choices of plants for pond edges are marsh marigold, meadowsweet and rushes. If you wish you could use a less traditional container to build your pond. An unwanted bath could be buried and used, for example. It could also be used to create a raised pond by placing it on firm ground and then filling. The sides can be enclosed using wood or can be camouflaged with plants and shrubs. Smaller items such as children’s paddling pools or old tyres lined with a sturdy plastic sheet can also make great garden ponds. 1. 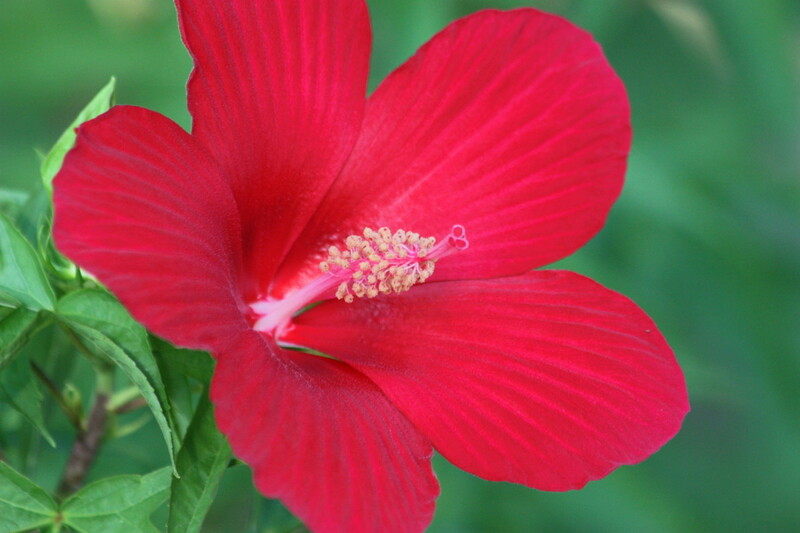 Once garden plants begin to dye off, leave some seed heads intact rather than cutting them all off. This will create a food source for birds and attract them to visit and perhaps make their homes in your garden. 2. Rather than cutting back taller plants and shrubs, leave some standing over winter to provide shelter to insects and smaller plants. 3. 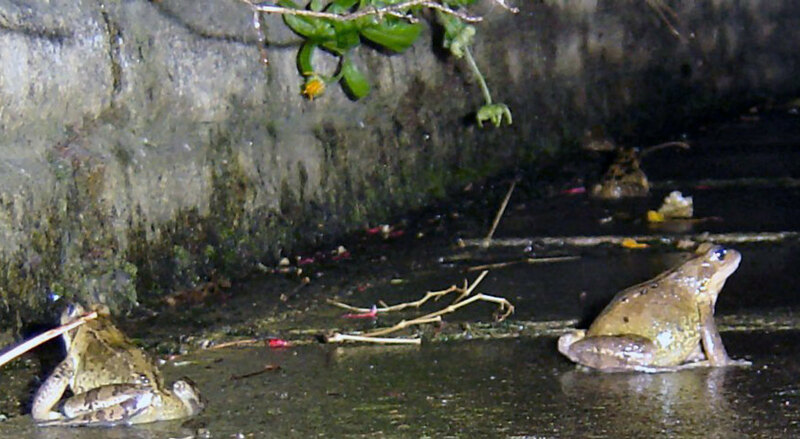 Slugs are eaten by many other animals such as frogs, toads and hedgehogs. Avoid using slug pellets that contain metaldehyde or methiocarb as these can prove fatal to other creatures if poisoned slugs are eaten. Pellets based on ferrous phosphate are a better alternative if pellets are needed. It is possible to create barriers around plants and areas that you wish to keep slugs from entering you completely natural methods. Using gritty sand, crushed egg shells or copper bands or piping are effective barriers as slugs dislike passing over them. Having a compost heap or bin will also help to keep slugs from eating your plants, as they will head in to the heap instead. 4. Plant trees, plants and flowers that are native to the area you live in as these will most suit and benefit the wildlife present. 5. 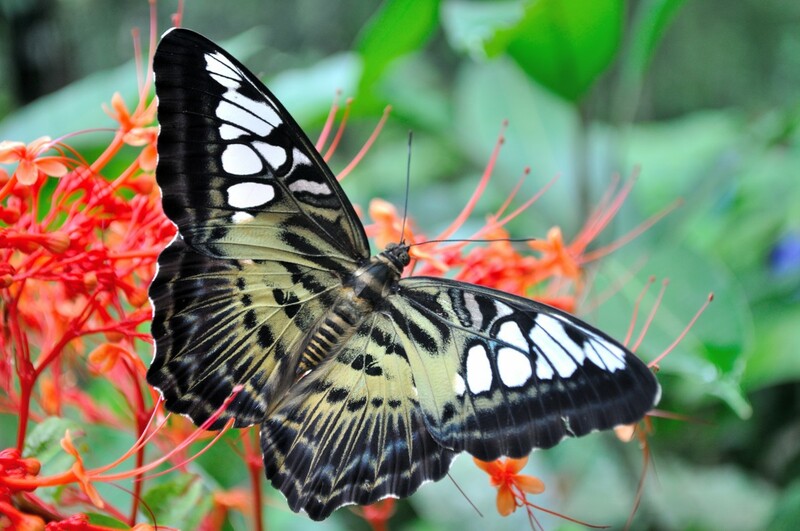 Nectar rich flowers such as verbena, aster, buddleia, lavender, brambles, dandelion and nasturtiums will attract butterflies, bees and other insects into your garden by providing a food source. 6. Caterpillars will thrive on plant food such as wild or cultivated cabbages, buckthorn, lady’s smock and grasses. 7. Climbing plants such as ivy can provide safe nesting and roosting places for small birds. They are also likely to become home to many insects. This not only gives them a home but creates a food source for nearby birds. 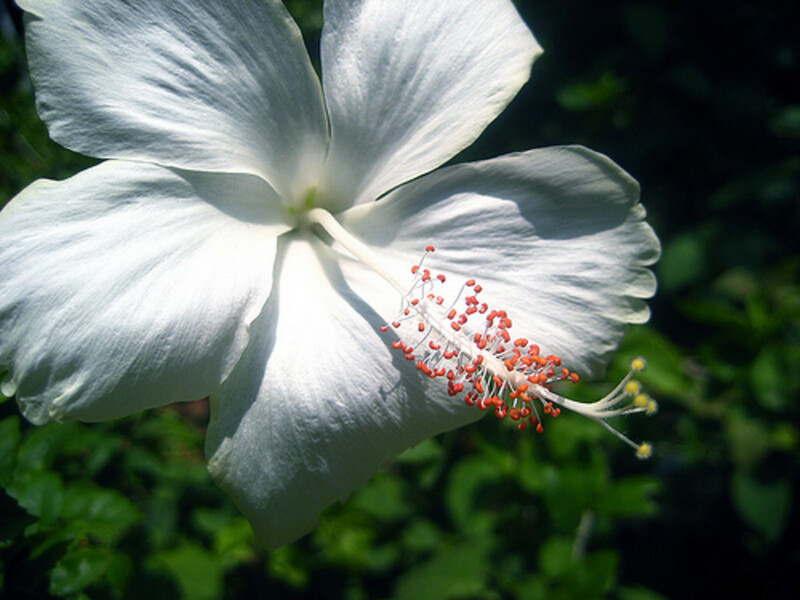 Plants such as climbing honeysuckle also provide a source of nectar. 8. Hedges can provide security for you and your family but additionally create a home for many insects and other wildlife such as birds and hedgehogs. Many hedges produce berries which give birds a plentiful food source. 9. Avoiding using peat in your garden. Peat bogs are home to many animals but are slowly being destroyed as they are collected and sold for use by gardeners. Many places now sell peat free compost or alternative products that help to keep peat bogs safe. 10. Don’t worry too much about clearing up your garden or leave a section to grow wild. 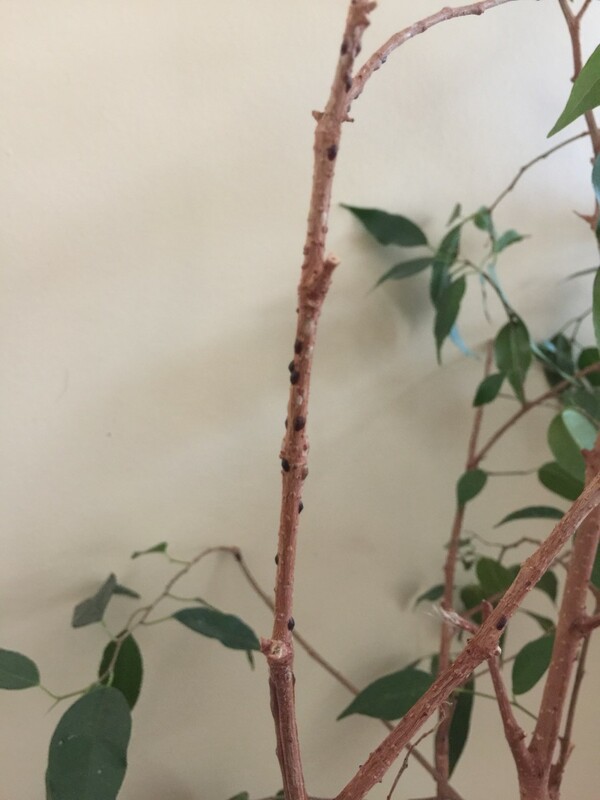 Hollow stems from dead plants can provide shelter to insects as well as safe places for them to lay their eggs. Fallen fruit that is bruised or otherwise unusable can provide food to animals including birds, ants, woodlice and wasps. As it rots it will also add goodness into the soil. Little nooks and crannies in walls can provide shelter to spiders, bees and other small creatures. Small plants may grow in these gaps providing them with a home. 11. Starting your own compost heap helps you recycle waste and will create organic compost to use in years to come. It also provides a home for small creatures such as worms, slugs and insects. Birds will be attracted by seeds in the heap and along with other insect predators will have a readily available food source. Compost heaps and bins can also provide excellent refuge and food sources for garden wildlife. They are a source of warmth in cold weather for animals such as slow worms and frog and attract insects that these creatures eat. 12. Provide nuts, seeds, fat balls and kitchen scraps that are suitable for birds to encourage them into your garden. 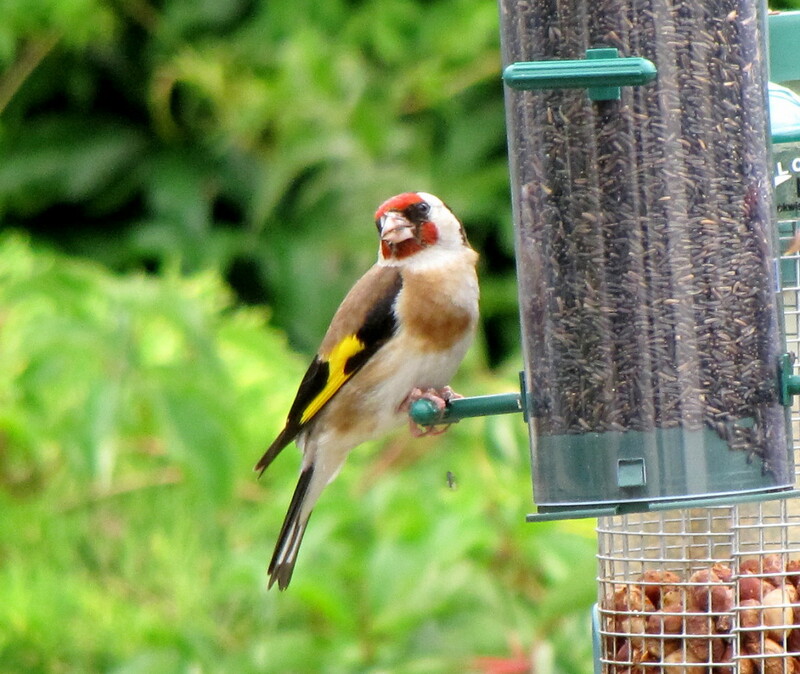 Different species of birds like to eat different foods and in different ways, so providing a range of options such as hanging feeders, a bird table and food on the ground widens the types that may visit. Take care to place food out of reach of predators such as cats. 13. Provide safe nesting/house spaces for birds, bugs, bats and hedgehogs. These can be bought varieties or made at home. As with feeding, different species of bird have different requirements for nesting so it is worth looking into this so you can choose the most suitable items. I grew all my veg in containers this year and it did really well. Awesome. Wish I had land (condo living-- but I have an awesome screen porch container garden! ).